Before, during, and after receiving my master’s degree in Chinese medicine, I worked with the special needs community. For a good portion of that 10 year period, I was an aide for young adults with Autism Spectrum Disorder (ASD). The experiences I had during that time were profound and life-changing. It is with great humility, and with the deepest respect for the autistic individuals with whom I came into contact, that I offer this post. Information about autism can be gleaned from a variety of internet sources, so I’m only going to give a very brief synopsis here. 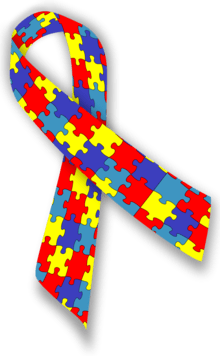 Autism Spectrum Disorder (ASD) is: “a range of complex neurodevelopment disorders, characterized by social impairments, communication difficulties, and restricted, repetitive, and stereotyped patterns of behavior” (NINDS). As suggested by the moniker, autism exists on a spectrum, with a wide range of presentations. 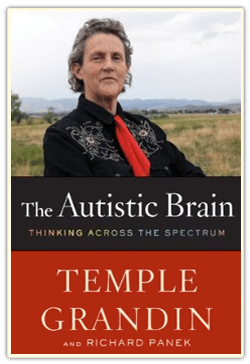 The majority of individuals I worked with were non-verbal, but on the other end of the spectrum, you have someone like Temple Grandin, who teaches at Colorado State University and writes best-selling books. Grandin describes autism as “a behavioral profile,” as opposed to a precise diagnosis (TempleGrandin.com). The perspective I will put forth in this article is novel—novel in the sense that I have yet to see a similar theory presented in an English-language Chinese medicine journal, lecture, or blog. As I mentioned before, autistic individuals occupy a wide spectrum, and each person is unique. As such, the range of symptoms and diagnoses (from a Chinese medicine point of view), varies from person to person. I am not offering a definitive Chinese medicine diagnosis for ASD, I am merely offering a diagnostic alternative to the standard TCM thinking, for practitioners who may not be satisfied with the typical ways of approaching autism in the clinic. Treatments for autism that I found on PubMed included: scalp acupuncture, tongue acupuncture, and electro-acupuncture. Some practitioners like to treat the Heart, others like to treat the Kidney. A more research-based “integrative medicine” approach suggests treating autism as an inflammatory process using a specific Chinese herbal formula (Lee & Kong, 2012). As you can see, there are a lot of treatment options! The one option that is curiously absent, however, is the possibility of treating ASD from a six-stage perspective (popularized by Zhang Zhong-jing in the Shang Han Za Bing Lun). It is my belief that many manifestations of ASD are disorders of the Shào Yáng (少阳). “In the division and unity of the three yang [vessels], the major yang (Tai Yang) is the opening; the yang brilliance (Yang Ming) is the door leaf; the minor yang (Shào Yáng) is the pivot” (Unschuld, p. 131). “There are three organs which are most prone to opening and closing. The mouth opens and closes for Yang (talking) and for Yin (receiving and chewing food). The throat opens and closes for Yang (breathing) and for Yin (swallowing food, drinks and saliva). The eyes open and close for Yang (to catch daylight and vision) and for Yin (to allow Yin storage and tears). If the pivot or the hinge is obstructed, the opening and closing will suffer…The action needed is to harmonize” (Seidman, p. 8-9). Liu based this statement on his understanding of the Shang Han Lun, an important medical text written several centuries after the Huang Di Nei Jing. According to the Shang Han Lun, bitter taste in the mouth, dry throat, dizzy vision, and red eyes are general symptoms of Shào Yáng disorder (Mitchell, Ye, & Wiseman, 1999). Thus, Liu describes the mouth, the throat, and the eyes as “most prone to opening and closing” (Seidman, p. 8). The concept of the eyes opening and closing is particularly relevant to ASD. According to the available information, as well as my own experience, one of the chief signs of autism is an inability to maintain eye contact (AutismSpeaks.org). Using Liu’s description as a starting point, failure to maintain eye contact could be considered a yin-yang imbalance of the eyes: when they open and close, there is either too much qi coming in (hypersensitive individuals) or too little qi coming in (hyposensitive individuals). If the term qi is too esoteric, consider replacing it with either “stimulus” or “information,” which are two types of qi. The mouth, according to Liu, “opens and closes for Yang (talking).” As mentioned above, many of the individuals I worked with were almost completely non-verbal, and communication difficulties often plague higher functioning autistics as well (Stevenson, et. al., 2013). The Shang Han Lun lists “taciturnity” or reluctance to speak as another potential symptom of Shào Yáng disorders (Mitchell, Ye, & Wiseman, p. 410). This symptom is caused by “depressed Liver-Galbladder qi,” causing the “Heart qi to become constrained, which in turn affects the Heart’s function of governing the spirit” (Mitchell, Ye, & Wiseman, p. 413). The ears may also be affected in cases of Shào Yáng disorders (Mitchell, Ye, & Wiseman, p. 408). Implementing the same logic that Liu uses in his discussion of the eyes, we can say that the ears have an opening and closing function as well (hearing/listening). In modern terms, the brain is constantly filtering—choosing which sounds to focus on or to ignore; in Chinese medicine terms, we could describe this process as the ears’ ability to open and close. Auditory processing is affected in ASD (Porges, et. al., 2014): when the ears are too open (incapable of filtering/isolating sound), this condition causes hypersensitivity to sound; when the ears are too closed (no sound getting through), this condition causes hyposensitivity to sound. Based on my interactions with autistic adults and children, I feel that Shào Yáng disorder is an accurate representation of many presentations that I’ve seen. I’ve heard several high-functioning autistic adults describe the world as “overstimulating” from a visual and auditory point of view. Several of the individuals I worked with wore either sunglasses or sound-blocking headphones to compensate for the sensorial overload created by the world around them. According to the DSM-V, one of the diagnostic criteria for ASD is, “Hyper- or hypo- reactivity to sensory input or unusual interests in sensory aspects of the environment” (AutismSpeaks.org). In other words, the pivot isn’t working, so the sensorial “door” (to use the Nei Jing analogy) is constantly open (hypersensitivity) or closed (hyposensitivity). Based on the descriptions from autistic individuals, on Li-hong Liu’s analysis of the Shang Han Lun, on modern research, and on my own experience, I believe that ASD can be approached clinically as a Shào Yáng disorder. In my own practice, I have used Xiao Chai Hu Tang for the withdrawn and non-aggressive manifestations of autism, and Chai Hu Long Gu Mu Li Wan for the hyperactive and aggressive manifestations of autism. Both of these formulas originate from the Shào Yáng section of the Shang Han Lun. Of course, no Chinese medicine theory would be complete without a pulse: the Shào Yáng pulse is either “stringlike and fine,” or simply “stringlike” (Mitchell, Ye, and Wiseman, p. 409). Finally, the Shang Han Lun specifically states that in Shào Yáng disorder, “only one sign [means that] this is [the pattern], they do not all have to be present” (Mitchell, Ye, & Wiseman, p. 420). I mention this line for its clinical relevance: you may not be able to discern whether a non-verbal autistic patient has certain symptoms (bitter taste, fullness under the ribs, dry throat, dizzy vision). If there are sensory processing issues, taciturnity, and a stringlike pulse, you can be confident using the Shào Yáng formulas to treat—if you are so inclined! David Lee & Xuejun Kong, (2012). “Potential Treatment of Autism with Traditional Chinese Medicine“. North American Journal of Medicine and Science, Vol. 5(3): 189-192. SW Porges, et. al. (2014). “Reducing Auditory Hypersensitivities in Autistic Spectrum Disorder“. Frontiers in Pediatrics. Yaron Seidman. Three Yin and Three Yang: Clarifying Zhang Zhongjing’s Diagnostic Approach. Ryan Stevenson, et. al. (2014). “Multisensory Temporal Integration in Autism Spectrum Disorders“. The Journal of Neuroscience, vol. 34(3): 691-697. Paul Unschuld, (2011). Huang Di Nei Jing Su Wen. I really enjoyed reading this Phil. Great to have the quotes from source texts. I like your idea of focusing on those structures (eyes, ears, mouth) whose function are typically notable in someone on the spectrum. Places where things are “likely to get stuck”. Dr. Huang speaks a lot about the contrast between Chaihu types and Banxia types, and I wonder if you’ve seen much of the wider-eyed, emotive, throat-clearing or phlegm-forming tendencies in patients manifesting hyper-sensitivity to stimuli. Early Chinese Medicine: An Interview with Donald Harper Ancient Chinese Medical Theory 101: Do I Need to Learn Chinese?